Truly Nolen’s global footprint has expanded to 196 locations outside of the United States. The company’s recent entry into Trinidad and Tobago and Albania mark the latest additions to the Truly Nolen family, which employs 3,000 people around the globe. Truly Nolen has more than 80 branch offices in Arizona, California, Florida, Nevada, New Mexico, Texas and Utah. The company also has independently owned and operated franchises in an ever-growing number of territories including Kentucky, Georgia, New Jersey, Canada, Puerto Rico and 59 countries. The company began in 1938, when PMP Hall of Famer Truly Wheatfield Nolen decided that instead of poisoning rats, he would safely seal buildings to keep the rascals out. The vision expanded globally when, in 1987, Truly Nolen Argentina was founded and further developed by Truly Nolen International. Currently, 90 percent of the company’s international business is commercial. South America continues to be a hot spot for Truly Nolen, with three new franchises in Brazil, four more in Chile, and one each in Argentina and Uruguay where it had an existing presence. The Tucson, Ariz.-based firm is also rapidly expanding in the Middle East: Earlier this year, Truly Nolen entered Lebanon and Jordan. It continues to expand across the Far East and Eastern Europe, adding to its presence in the Philippines with three recent franchise openings, as well as Malaysia, India and Thailand. 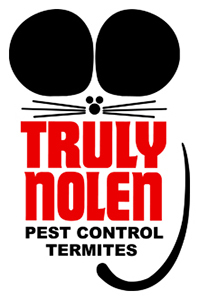 As the main sponsor of the Truly Nolen brand around the world, Lutz speaks four languages but has found most customers communicate in English. Truly Nolen also boasts “mobile ambassadors,” the company’s highly visible fleet of mouse-themed cars, trucks and rolling billboards.